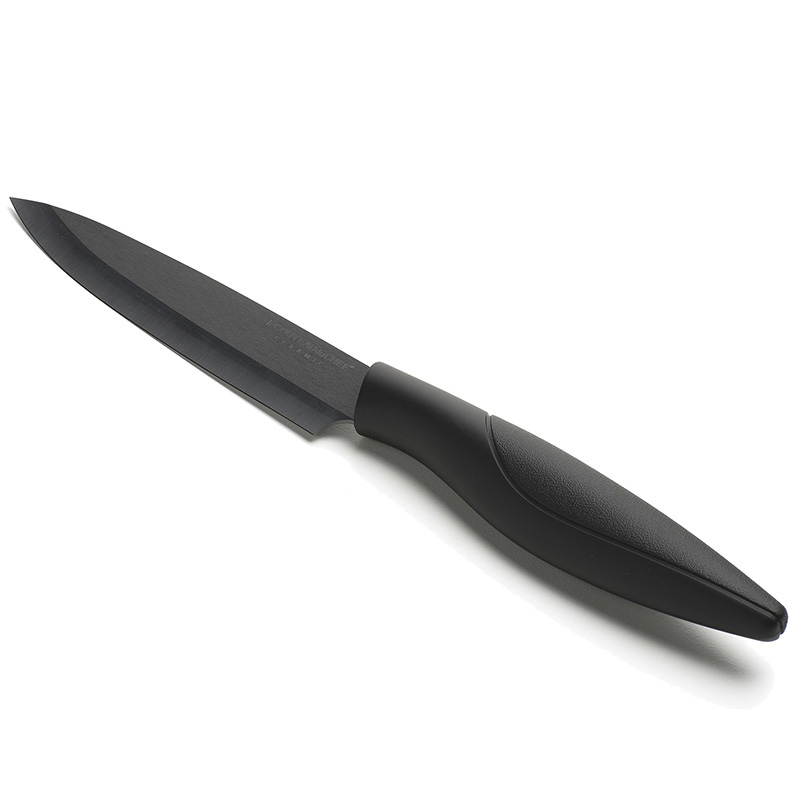 The length of this chef knife black ceramic blade enables to cut various foods such as meat, vegetables, herbs… This tool is particularly efficient on big pieces but is also very precise for smallest products. 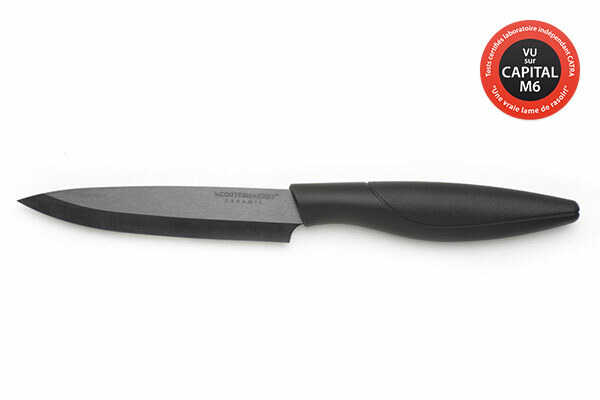 Used on soft food, it thus keeps all its efficiency. 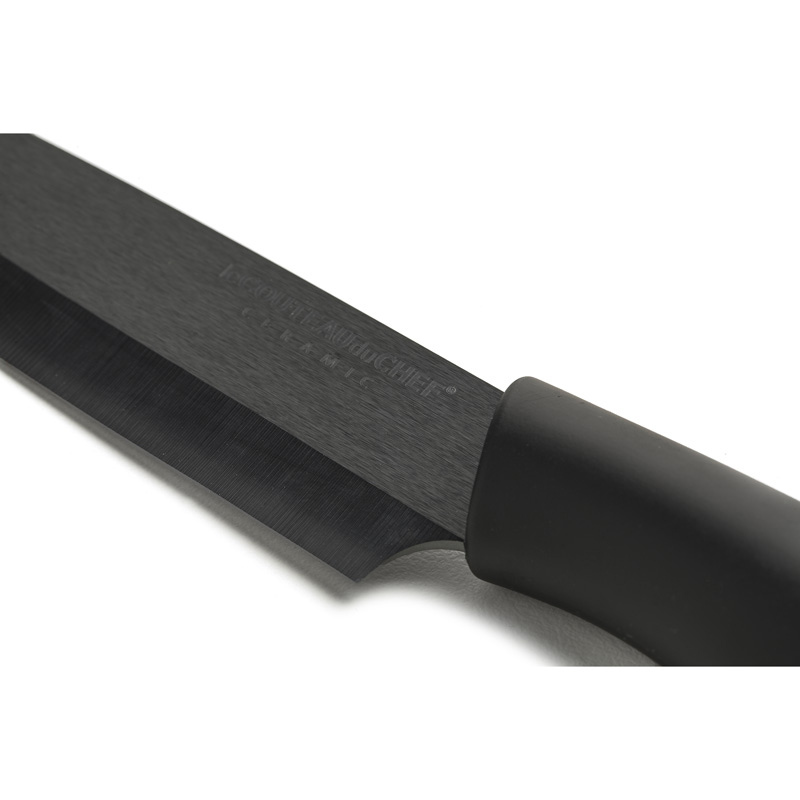 The Best Seller range design and style are major factors to the success of the chef knife black ceramic blade. 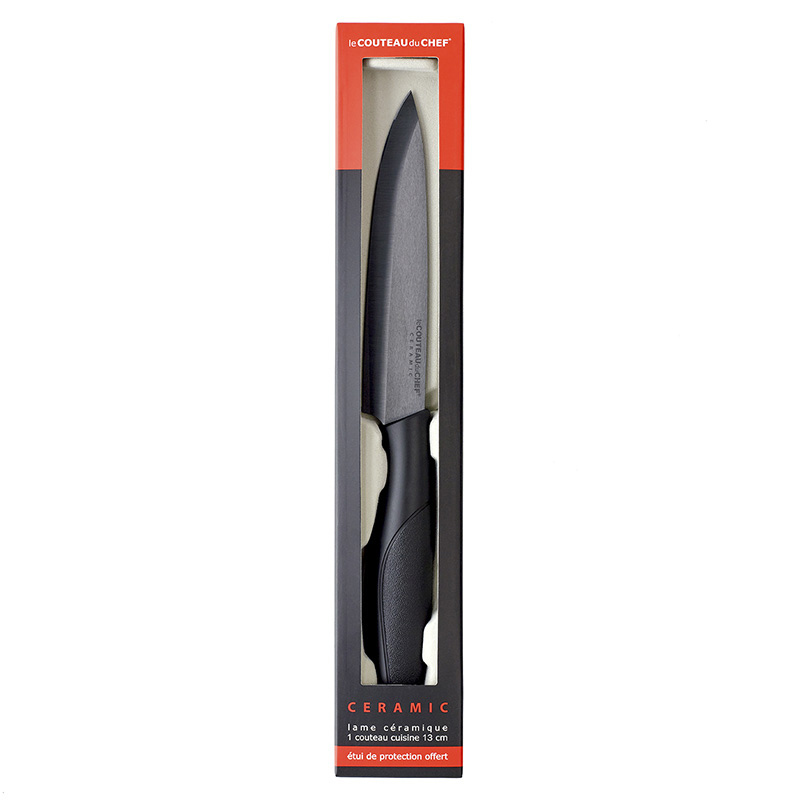 The double benefit of the ceramic lies in the fact that it retains the cutting edge for a long time and that this material does not alter the fresh taste of food. 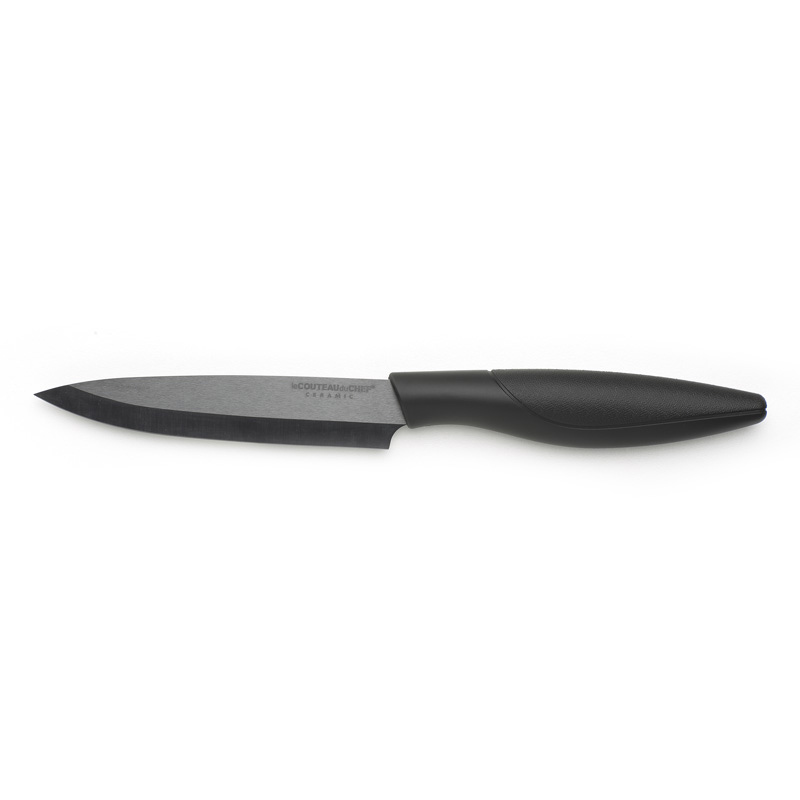 Extremely hard and sharp due to high zirconium oxide content, the black ceramic ensures an outstanding cutting power to this exceptional knife.